Employees hate Human Resources for a variety of reasons—some are logical reasons based on bad experiences with HR teams. Whereas other reasons why employees hate HR demonstrate the employees' lack of knowledge about the role of HR in the workplace. Additionally, few employees understand the constant balancing act the HR organization has to achieve to perform its role responsibly. HR must provide flawless administration services while also operating as a strategic partner to the business. The HR team also advocates for employees and champions organizational change. While these reasons exist in every organization, regardless of the reason in your organization, it’s difficult to win employees' loyalty back when they've formed a bad opinion of HR. Even when employees join a new company where the HR staff is competent, caring, and advocates for their workers, a bad experience can color the employee's view of HR. Unfortunately, bad HR departments are alive and well out there. But, there are also great HR departments. Also, HR has reasons to find employees annoying, too. And, sometimes more than annoying. Try using words like deceitful, ornery, uncaring, lazy, and forgetful. You get the picture. Fortunately, the vast majority of employees are doing the best job they can. The five reasons offered about why employees hate HR come from the observations of readers, managers, and other HR employees who read the articles at TheBalanceCareers. All of them are intertwined, and employees tend to mention two or three of them together when they complain about their HR managers and departments. Employees go to HR and find untrained, uneducated employees with little experience working in a professional HR office. A common complaint is that the HR staff came from accounting or another unrelated office and don’t know what they’re doing with employees or in HR. "The thing is, I don’t think you start out hating HR. I think I took HR for granted when everything was going smoothly. It wasn't until I had a horrible HR person that I became leery. At my last job, the HR manager was totally incompetent. Morale was horrible, management was worse, and our turnover rate should have been an embarrassment to her. "Instead of addressing the actual problems in real ways, her answer was to plan potlucks, send flowery emails, and basically ignore the elephant in the room. She singlehandedly ruined my HR experience. That said, if I ever re-enter the workforce as an employee, I will never take a good HR manager for granted again." Employees complain that HR staff members are dishonest. They don’t tell the truth about how they handled an employee situation. They misrepresent the employee’s story to management and in court. Many employees believe that the HR staff is untrustworthy because they lie to cover up their mishandling of a situation. "In a work dispute, you are compelled by their rules and by other government organizations (like state Human Rights, EEOC, and so forth) that seem to insist that you report your complaint to HR for it to have a legitimacy. You do this only to find later that they will (of course) lie to these organizations that you ever even reported it at all. "Keep everything in writing because the HR people who seemed oh so sympathetic to you while you were in the situation will LIE-LIE-LIE even under oath that they were never informed of your problem (although you have copies of emails proving otherwise) when they found out it was a he said—she said situation, even if the same had also happened to other employees. HR cares only about the interests of the company and the managers. In any employee complaint situation, HR will side with the manager the majority of the time. Even if you have multiple witnesses or employees have repeatedly complained to HR about the same behavior, HR sides with the company. Additionally, in their quest to keep the company safe from lawsuits, HR covers up legitimate employee concerns. "I have worked in HR for 30 years. HR is only as good as the leadership and management of the company/firm. There are bad HR folks, bad bankers, bad doctors, etc. There are also good HR folks, good bankers—you get the picture. “And yes, we work for the firm—and guess what, so do you. If we all work toward the common goal of making our firms the best they can be, we all reap the benefits. That means accepting responsibility for our performance and our interactions with everyone in the workplace. Employees find that HR staff members are not impartial or fair. Their desire to keep their jobs, and earn a bigger salary and their next promotion, keep them from acknowledging the legitimate employee point of view. They are also prone to supporting managers over employees regardless of the evidence in the situation. 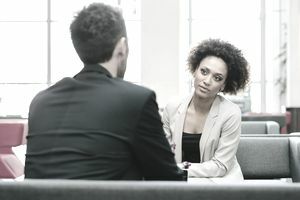 They assume that a complaint against another employee is true and that the majority of complaints boil down to "he said, she said," so the situations are never resolved. "HR is only as good as the leadership and management of the company/firm. Unfortunately, all too often, HR is the messenger. Much of the good we do is done in private; the grapevine sees only the policy changes, and so forth, and looks for someone to blame—and HR is the obvious choice." HR staff members are viewed by many employees as seeking to curry favor with executive leadership. They make dealing with employees political based on the employee’s job title and position. Because HR does not add value to the bottom line or fails to demonstrate how they have, employees view the job as expendable. In their view, HR employees ingratiate themselves with managers and executives because they add no value to the bottom line. A common theme encountered frequently from readers is that HR staff should prove themselves in a management role in the line organization before joining HR. “Why would anyone with real talent (a trendy HR term) want to waste their career in HR where one can become an expert in government regulations and deal with employee issues. no—real talent wants to excel and HR is just not a place where that is going to happen. While the company evolves to survive, HR is often decades behind. Dealing with HR people is like talking to cave dwellers. Next time you find yourself frustrated by HR, just be thankful you are smart or ambitious enough not to work there." These five factors can play a serious role in how competent and trustworthy employees in your organization view HR. For a successful organization that retains the best employees to serve customers, the above five opinions are deadly. Do everything you can to avoiding creating them in the first place. What Is the Importance of Human Resources Management?